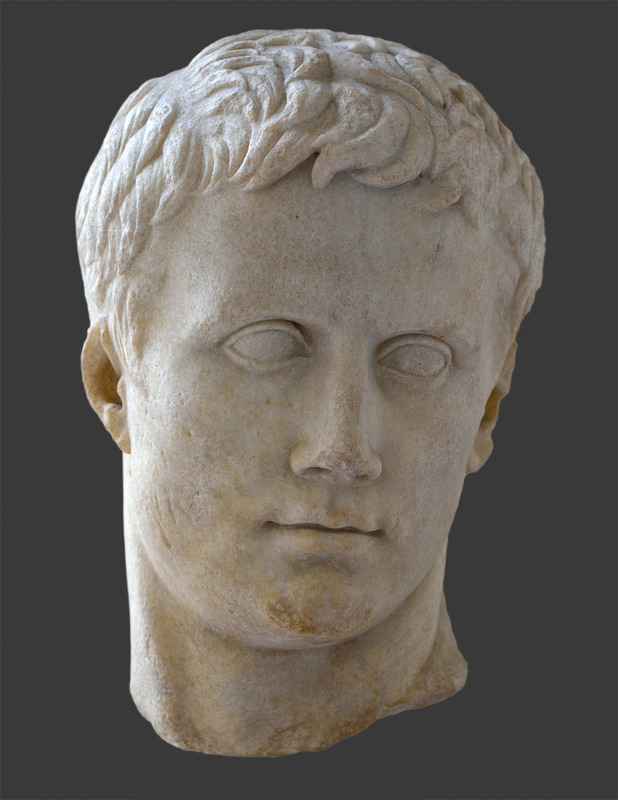 August (portrait head of Octavian before he was appointed the title of Augustus). Marble. Shortly before 27 BCE. Rome, via di Massa San Giuliano, the plain of the zone "Lunghezzina II", the site of a villa, 2005.